Doodlekit 2.0 - Garbage Burrito! I almost can't believe it, but the latest release of Doodlekit, my free website builder is live. We're busy trying to get the word out, but I wanted to showcase some of the interesting challenges we had to solve in our new templating engine. Some of the properties are self-explanitory. Field type tells the front end what type of control to use, in this case a Color Picker. The "refs" will automatically set the value of other properties when this one is modified, and in this case it will automatically shade the color ligher and darker. The "css" code will be rendered if this property has a value, and the variable will be replaced. We wanted to be able to provide users with a library of images to choose for various purposes, such as backgrounds or borders, but be able to customize the colors. In the past this required us to generate a copy of the image for every possible color combination. This wouldn't work for the new system. I came up with a solution using greyscale images as templates, and replacing the colors server side. Here's an example. This is the template you choose. Notice that it automatically handles the gradients as well. 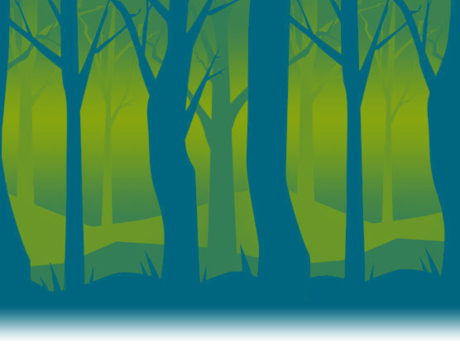 We used the same concept to create banner plates, which make it easy to add cool overlays to your header images. Techincally we could do the same image template technique for Icons, however we wanted to be able to resize the icons as well. A new techinque for this problem is using a special font that contains vector images, instead of characters. Heath created a font specifically for this purpose, and filled it with common Icons. See the social icons at the top of this page? Those are all just characters in a font. You can change the color and size to anything you want. 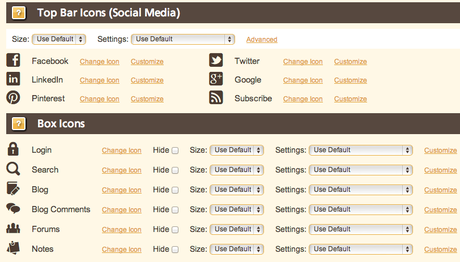 We also added tools in the template builder to swap icons, so you can use different icons in different places. These are just a few of the cool features we've built into the new release. The only way to see the full extent of Doodlekit 2.0 is to signup and explore yourself. I love the idea of sharing such an amazing content about Doodlekit. great post! thanks for sharing. please visit our homepage. I appreciate that you thanks for share information. i like that. The "css" code will be rendered if this property has a value, and the variable will be replaced. Hi, The "css" code will be rendered if this property has a value, and the variable will be replaced. I was very impressed by this post, this site has always been pleasant news. Thank you very much for such an interesting post. Keep working, great job! In my free time, I like play game: http://mutilateadoll2game.com What about you? Now here you're talking about the template of the Ben Doodlekti which is looking good. Now here some expression about the functions of admin panel contain for those who have desire to create a site in this platform. I got more content related to it from https://www.ukbestessay.info/. So it's good source for the students to learn about it. You've seen them in the city corner, however have you seen all the diverse sites that give data on the most proficient method to set up your own particular car title credit business? For reasons unknown payday is as yet up to 14 days away and you require some cash in the bank to cover your costs. The exact opposite thing you require is for the power charge check to bob! What are your alternatives, assuming any, to cover this? One alternative when you require it quick is a money title credit. The Federal Truth in Lending Act requires that all banks uncover their advance charge rates, so make sure that the loan specialist you pick is in consistence.